For this new moon, I’ve decided to compile quotations from free-spirited, innovative, and fiercely individualistic Aquarians to inspire, empower, and perhaps even emancipate you – body, mind, and spirit. With both the Sun and Moon in Aquarius, tonight’s beautiful Uranus energy offers us the power and courage to make the changes in our lives and our realities that have been brewing for some time now…to celebrate, honor, and share our completely unique and individual spirits and gifts in this world. Themes of freedom, revolution, novelty, and individualism are at the heart of Aquarian energy. Here are some of my favorite quotes from the brilliant unwavering Water-Bearers. Share your own if you have them! Aquarius is all about defying convention and honoring the unusual, so I am not going to give any specific suggestions for herbs or teas, rather it would be most suitable to make something using your own intuition and taste as your guide! My tea tonight is going to be blended based on vibrancy color – a rainbow tea if you will! Red hibiscus petals, orange calendula flowers, yellow chamomile, bright green alfalfa leaf, indigo lavender, and light pink roses!!! Gemstones that are associated with Aquarius (Uranus) are any “glow in the dark” minerals such as uranium; as well as peridot – helping to clear any nervous energy, quartz crystal – helping to bring our ideas down to earth and to manifest them, and garnet – a protective red stone that promotes courage and confidence. Opal is a stone that fosters uniqueness and originality. You can wear any of these stones, just gaze at them nearby, make an elixir with them, place them on top of your brewing tea pot or tinctures in the moonlight, or even bathe or sleep with them nearby. Tonight is full of Aquarian energy, but you can take the energy with you anytime this way. Let your creativity and your passions flow. Speak your mind. Share your heart. Make music. Throw a dance party by yourself under the stars. Paint a self-portrait. Cut up old clothes and make new ones. Make a collage. Write a manifesto. Experiment with new foods. Bake a crazy cake. Join a political organization that speaks to you. Let go of your fears. Do something unexpected. Send a message to outer space. Trust your intuition. Quote yourself. Do that one thing you have been putting off for way too long. Wear that one outfit you think is too crazy. Read that book that’s been sitting on the shelf. Dare to embark upon uncharted territories of the heart, mind, body, soul, home, yard, neighborhood, world! Make plans to do something you really want to do, and do it! Stand up for what you believe in and don’t be afraid to shine. The world needs you to be you. Think about the pure magic and rarity of the chances that you exist and are an irreplaceable part of this crazy, unpredictable, beautiful, and ever-changing universe. “When I reach the gates of heaven, the heavenly judges will not ask me, ‘why weren’t you Moses?’ They will ask me, ‘why weren’t you Zusha?” – Rabbi Zusha of Anipol. It seems so fitting that just as we are about to leave the strong-willed, determined sign of Capricorn, the year’s first new moon is in Capricorn — perhaps a cosmic expression of the Goat’s perseverance and staying power. Tomorrow night the moon will be new and will reside in Capricorn, and according to the Jewish Lunar zodiac, we will already be entering Aquarius’ month — though in Western Astrology, the time of Aquarius won’t begin until January 21. (These are the two systems I have studied, but I am curious to know about any others with regards to these dates. Please comment if you know of any other systems’ dates for Capricorn/Aquarius). Whichever approach one takes, most agree that after Capricorn follows Aquarius and both are ruled by Saturn. Some sages teach that Capricorn and Aquarius are akin to the eyes, attributing a special connection and almost unity between these two signs. Indeed, being both ruled by the powerful planet Saturn, there is a clear thread that runs through the two. My feeling is that we have to take a last serious, very methodical approach to heart in order to ground ourselves before we enter Aquarius. I think of Capricorn and Aquarius as twins separated at birth; Capricorn, an Earth sign, being raised in a down-to-earth family that values an unbending commitment to hard work, while Aquarius, a sign of Air, was brought up in a family much less physically oriented, more theoretical and universally-minded. Both have the same blood running through them; the Saturnian imprint that bestows an unshakable core, which allows both these signs to achieve great heights and make powerful impressions in the world. In general, the New Moon is always a time for new beginnings, like a blank page, and the sign in which the moon resides gives a direction and a teaching about the coming energies and thus teaches us how to be prepared for them. This particular New Moon is a time of locking down and making practical, dedicated, and real-life commitments and evaluations. Capricorn urges us to access that part of us that needs and thrives on working hard towards our goals. Aquarius is a time for fruition and creatively acting out on those goals, but without a solid plan we can get lost in all that air energy. I think the cosmos are doing us a little favor with the new moon in Capricorn, sort of a last chance to buckle down and make some meaningful goals or even resolutions before they flutter away in the wind. In life, we must balance the forces of free-flowing creativity and methodical, practical approaches to living- both are essential to reach our highest selves. ~Where would you realistically like to see yourself by the end of this new year? ~What practical, realistic steps will you need to take to achieve those goals? ~Are you as responsible as you would like to be with your money, your relationships, friendships, wellness? ~Do you tend to try to escape or run away from the more practical aspects of life too often? 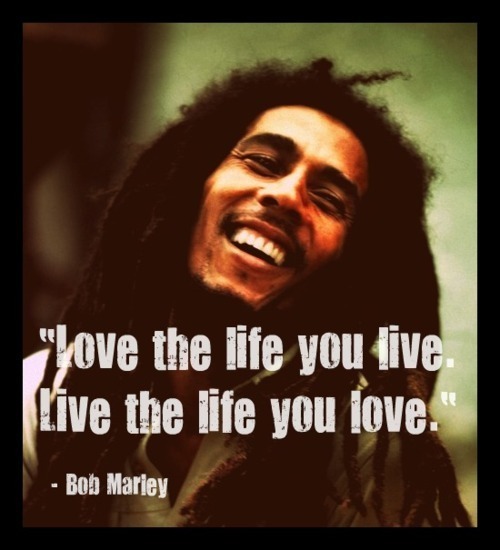 ~Is your approach in life more pro-active or passive? ~Do you have tangible, realistic plans for your future that provide you with security? 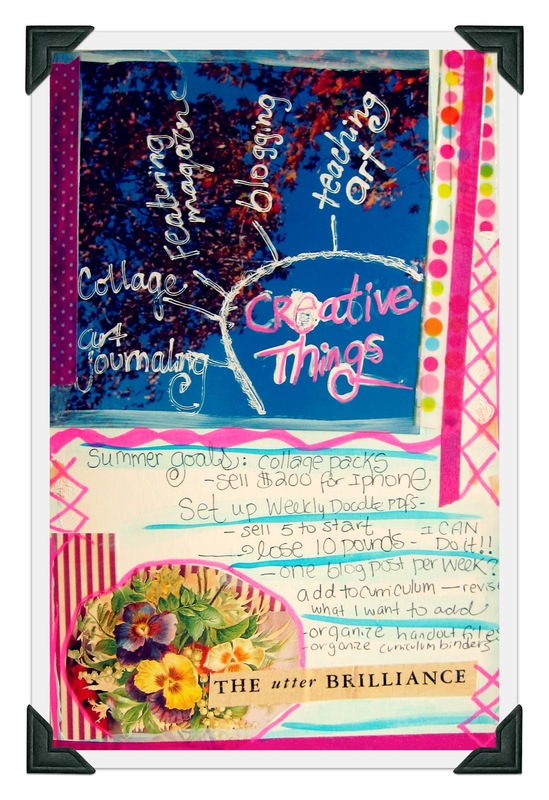 ~Make yourself a Saturn-Twin Journal. It should include both the very down-to-earth, practical approach of Capricorn as well as the creative, expressive, and free-flowing nature of Aquarius. I met a woman in college who had a beautiful moleskin journal with blank pages that she herself divided up into weekly calendars. In each “day” she wrote her goals, dreams, inspirations, and also very practical information. What struck me was that she invested so much energy and made the journal so alive with color, writings, drawings; it was the best of both worlds – artistic and also very useful and helpful for organizing her life. I have done this and it always helps to have that book with you at all times – a place to be expressive and to keep track of things, both equally important. 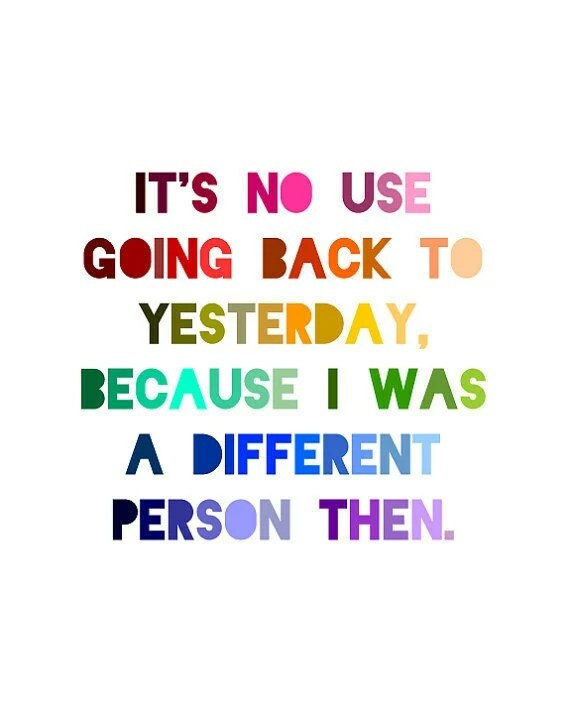 ~Look back at 2012 as objectively as you can by speaking with a close friend about each other’s experiences, actions, decisions, and where it all led to. We sometimes tend to forget things (me especially), but the beauty of friendship is that we see one another from the outside but with loving hearts. My friends (and my journals) are usually the ones who remind me gently of the truths that I would rather forget or run away from, and in my life their guidance has been invaluable. You can make a new moon ritual to support and uplift each other while talking out some of the good, bad, and wonderful parts of your year – thereby making space for new and wiser decisions in your future. ~Choose one part of your life that you feel you have neglected or been passive about and make a change – massive or tiny. Whether it is managing your finances, talking to your boss, addressing a health concern, or even facing your own feelings or emotions towards something, this New Moon is a good time to be proactive and take things head on. The best advice I ever got was from my Uncle who told me to always be proactive in life. It’s so simple, but so profound when actually put into practice. So often we just get carried away with the tide and we lose ourselves amidst the many demands of life. We say yes when we mean no, we give when we feel we have nothing left to offer, and we do things without our heart being in it. But choosing to be more proactive about the choices, decisions, and actions we take is vital for our well-being, self-respect, and peace. It also has a snowball effect. If there is something you believe in or want to do, take that first step towards achieving it. You will be amazed at how the universe conspires to help you once you open that door. ~Read a biography about a person you feel a strong connection to/respect for. Autobiographies are amazing teachers because they remind us that each life is a complex story with many ups, downs, and all arounds. No person got to the top of Mt. Everest without first having to struggle and fall. No person achieved their greatest dreams without endless interesting, unexpected, crazy, magical, and unique experiences. I find so much inspiration and guidance in autobiographies and I think this is a great time to start to read one, partnering with the spirit of that person as you embark on your own adventure. Check out Nelly Odessa’s awesome collection of success stories for practical advice from people who made their dreams their reality. 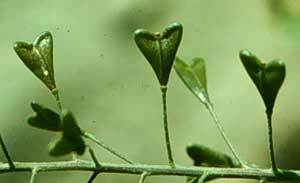 Shepherd’s Purse has heart shaped seed pods, giving it the folk name of Mother Heart. Shepherd’s Purse (Capsella bursa-pastoris) is a Saturnian herb that has both grounding, rooting energy as well as a magical, deep, and other-worldly quality to it. This herb helps us to develop our inner will and to develop healthy, practical boundaries to stay true to our true will. Burn dried Shepherd’s Purse with a favorite magical herb such as Mugwort (for dreams, intuition, lunar connection) or White Sage (for cleansing, purifying, banishing negative energies and inviting good energy in) over charcoal and try to listen as your inner-most will and desires arise to the surface. Try a nourishing Comfrey infusion (Symphytum officinale) taught by Susun Weed and take comfort in this Saturnian herb’s ability to mend and heal broken bones and maybe also broken hearts, helping to strengthen the skeletal system and giving a strong foundation upon which to build the future. Meditate on the Mountain Goat Totem – the way it unhesitatingly climbs the most jagged cliffs and raises its kids to be unafraid of the mountain’s edge. Balance, patience, keeping their eye on their ultimate destination. How can you adapt these teachings in your life? For exact rising time of the new moon in your hometown, click here. Interested in Astrology & Herbs? Check out my quarterly journal called the Starry Eyed Herbalist – Winter Issue is out now! As the moon passes through the constellation of Gemini with the sun in Sagittarius, and a partial lunar eclipse, a unique cosmic doorway is opened to us for healing, reflecting, and bringing big cosmic energy into our lives, be it with herbal medicine, gem/stone healing, meditation, or any other pathway you choose. On Wednesday November 28 at 9:46AM Eastern Time there will be a full moon and lunar eclipse. this full moon is called the beaver or frost moon. In the gemini full moon, we are given a chance to reflect and work on communication and social interactions. Ruled by mercury, gemini is strongly associated with the power of speech. The infamous magical incantation “abra cadabra” actually originates in Biblical Hebrew, from the words “abareh,” meaning “I create” and “k’dibre” meaning “as I speak.” Whenever we speak, we are creating realities that have real effects on the world. 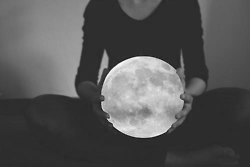 This full moon is a good time to refine speech and communication and use it for positive creation. Writing in a journal and/or sharing feelings, dreams, and other inner emotions can be healing and help release negative energies during this time. Journaling is a powerful healing tool that can help bring subconscious needs, desires, or feelings to the surface. What makes this moon more special is the lunar eclipse, a time of great connection and oneness with the Earth, with our natures, and with other people. It seems a very good time to actively and wholeheartedly improve and appreciate connections and relationships, with earth, nature, ourselves, and others mainly through speech and communication. In medical astrology, Gemini rules the nervous system, arms and hands, and the lungs. Deep breathing and aromatherapy, such as lavender oil are helpful to relax and center. The process of breathing itself is a metaphor for healing, taking in what’s good and letting go of what is unnecessary or harmful. Other ways to clear negative energy are with Sage smudging, ringing bells, and drinking warm herbal teas with lavender, skullcap, vervain, or any relaxing herbs you enjoy. Herbs that are associated with the sign of gemini include: mullein, peppermint, vervain, skullcap, lavender, oats, and parsley. You can make an herbal amulet or talisman with these or other herbs that carry the energy of gemini or its ruling planet, mercury. Another way to work with herbal energetics is by burning herbs for the purposes of cleansing or releasing energies. Gemini is an air sign that is known for change, adaptability, and adventurousness. Now’s the time to tap into this energy and make space for the new. Ridding your mind/heart/life of judgement, negative thoughts, harmful patterns, hurtful people, worries, doubts, anger, grudges, and fears/insecurities is the first step and we are blessed with a wide open door for those changes tonight. It might seem overwhelming or even scary, but that apprehension is a sign of change and growth. After that, a sense of clarity is sure to come. You can then welcome new, positive people, thoughts, and ways of living in with joy and excitement, in true gemini fashion. Violet: this sweet little purple-flowered plant, also known as hearts-ease, is a soothing treatment for the kidneys and can aid headaches and dizziness. The Greeks used it regularly in love potions because it was considered a symbol of love and fertility. It can be used as a tea (leaves) and the flowers can be eaten raw in salads, deserts, or jellies. Thyme: An overall healing herb that is “excellent for healing headaches and giddiness arriving from nervous kidneys,” according to Ada Muir. Thyme is the courage-giving mint. Thyme contains powerful antibacterial and antiseptic properties that fight off coughs, colds, and gum disease. Drink it as a tea and/or use it in the kitchen to add taste to any dish. Feverfew: Known also as Flirtwort (Libra’s are sometimes referred to as the flirts of the zodiac) it’s gained its notoriety as a headache healing herb throughout the world. Ada Muir states that it strengthens and cleanses the kidneys. It is also used for colic, toothache, and vertigo. Take as a tincture to relieve migraine headaches. Burdock Root: Also called Love-Leaves and Happy Major, this root is a revered kidney and liver tonic herb. Its high antioxidant count aids the liver in detoxification, and also helps the kidneys maintain proper hormonal balance. These actions positively effect the whole body; a flowing, happy digestive system, radiant, clear skin, and healthy, balanced reproductive organs. Take as a tea by boiling the root in water over a low flame for 15-20 minutes.